Can Mankind Ever Exist Without War? Space Cities – Can They Work? To be sent a high resolution map of The Black Guard universe sign up to my mailing list. Tragic events that lead to the death of billions have fractured the bond between mankind and the Horaxians, turning interstellar allies into bitter enemies. Now, Adcox, a young marine officer, is caught in a savage war that has lasted longer than he’s been alive. One that has broken the human condition, and flung a boy into a man’s world. With the arrival of the greatest horror either race has ever witnessed, the inescapability of extinction forces humanity and their hated adversary to forge an unwanted alliance. Adcox and his team are tasked on a covert mission, where survival of all life hinges on them finding just one man…a knight of the deadly and mysterious Black Guard. He’s a man that none trusts, few believes is alive, but all agree that he is the most dangerous man in the universe. 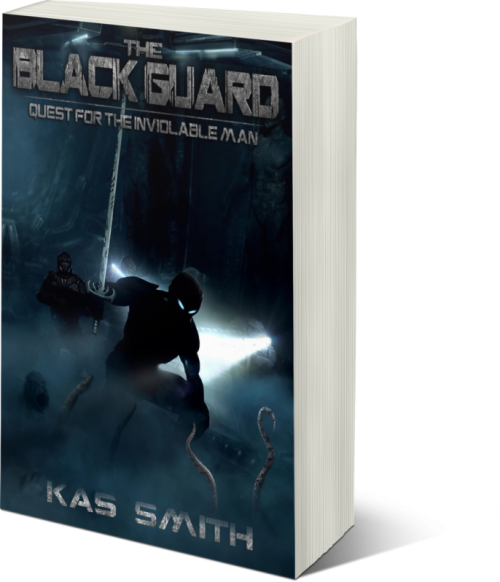 The Black Guard takes you on an epic science fiction adventure of a young man’s battle against the enemy external and within, and his struggle to place his faith in a powerful warrior whose past is shrouded with both virtue and villainy. To find more information on the characters and settings of the Black Guard click here to go to the wiki database. Subscribe to my mailing list. Best way to receive the latest updates regarding my books.